This is our 10th Anniversary Christmas album! 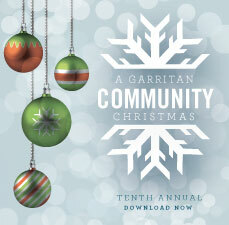 The Garritan Community Christmas album has become a tradition for our Community. The holidays are a time of giving and for the past ten years, members of our community from around the world have freely given their time and talent to produce our annual Christmas albums. It’s always astounding to experience the talent and creativity of our members. It makes me especially glad to be a part of this tradition and I hope we will do this for more than another ten years, always making music together. As we celebrate the 10th anniversary of the Garritan Community Christmas project, I’d like to acknowledge and thank Dan Kury for his commitment and effort that made it all possible. Wishing you all a Happy Holidays, Merry Christmas, and Joyous New Year! Download the creative. This includes a front cover, back cover, folder version, and two options for the faceplate label. The label is compatible with Avery products.